Blue Ridge Monitoring is the ideal choice for monitoring services for any dealer throughout the country. We currently serve dealers in various states and have the ability to provide service to any dealer in the US, regardless of location. 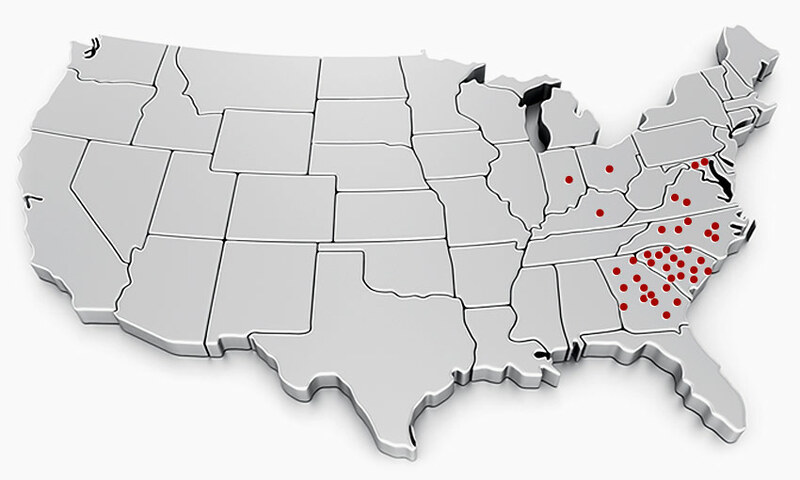 The following map represents the locations of several of our dealers nationwide. Click here to fill out a dealer application.